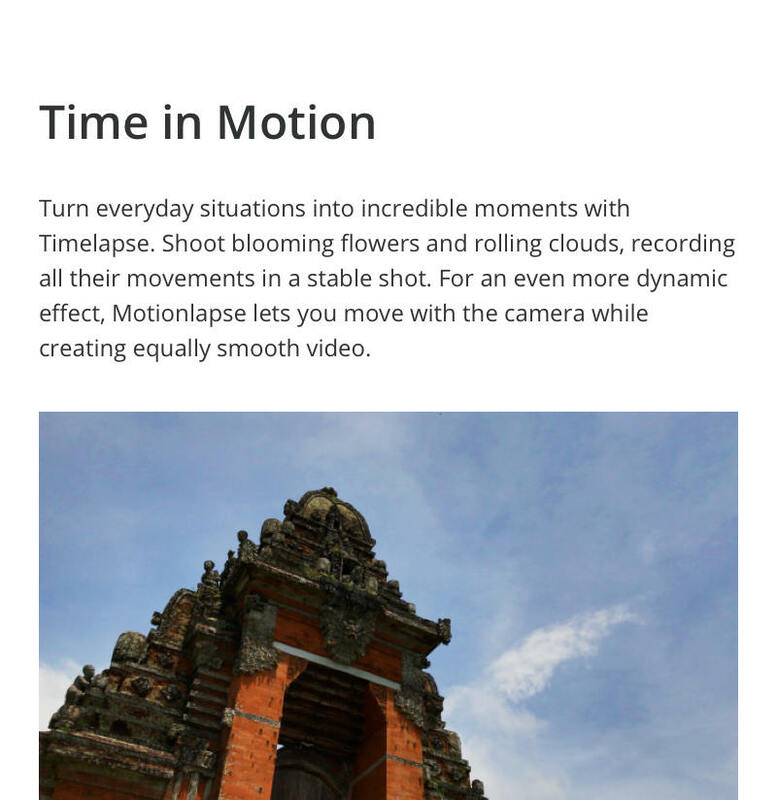 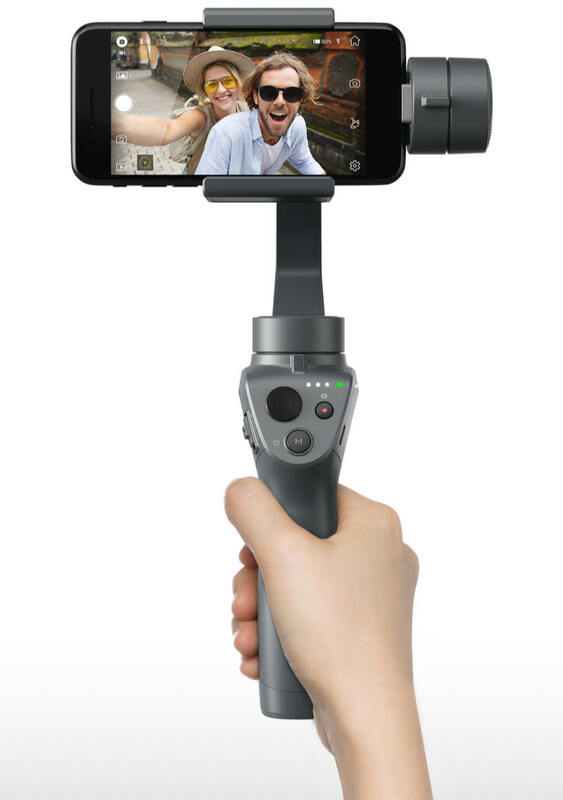 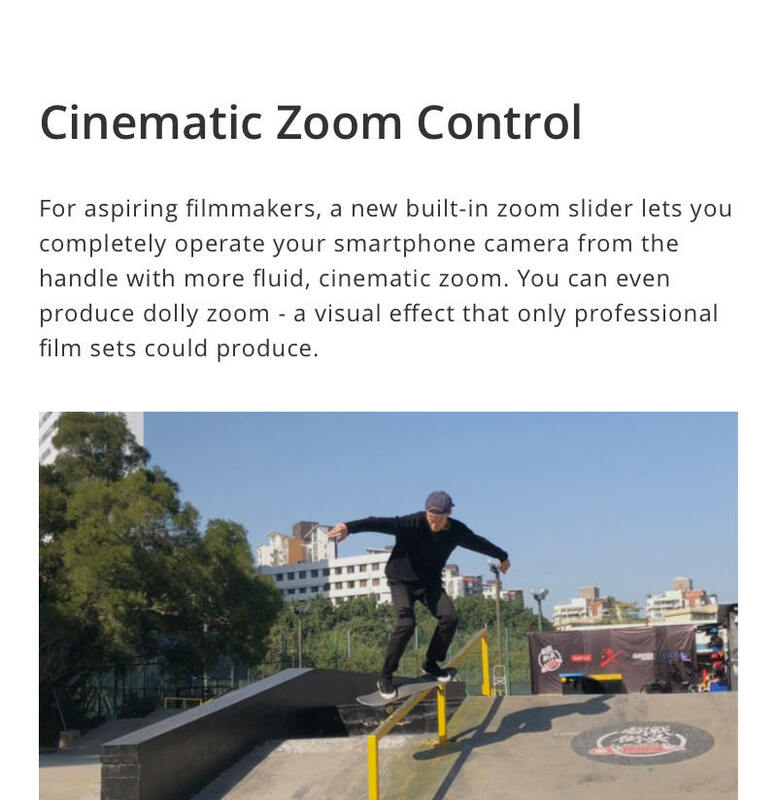 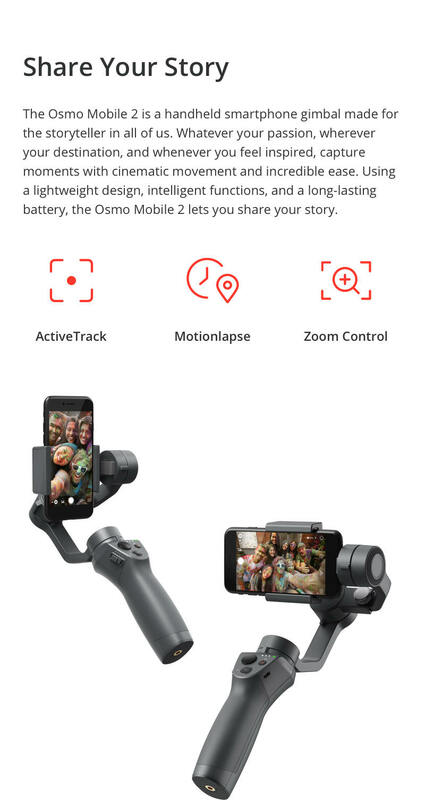 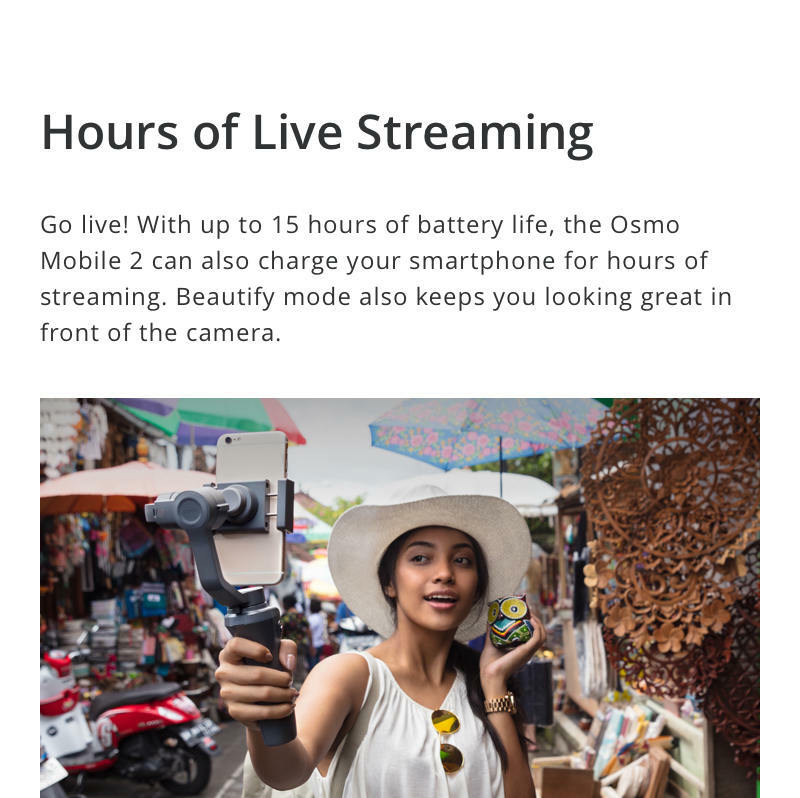 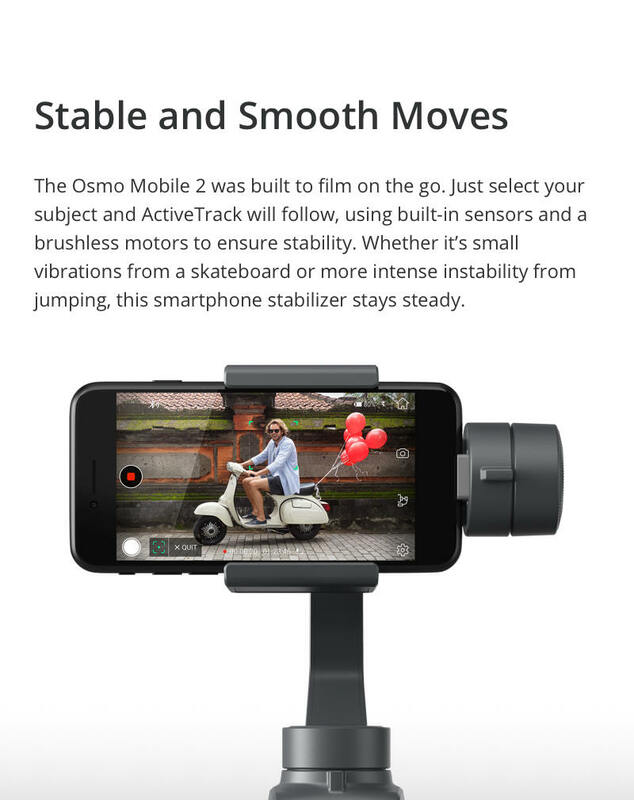 The DJI Osmo Mobile 2 is the second generation of DJI's ever-so-popular Osmo Mobile. 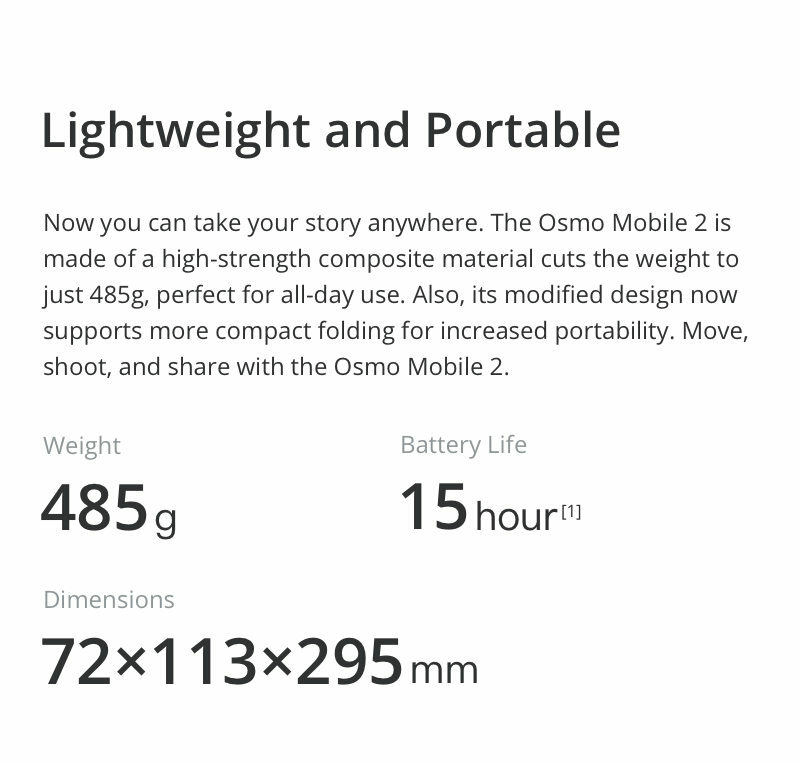 This new version features a much lighter weight form figure and enhanced battery life that has been tripled from the original model to 15 hours. 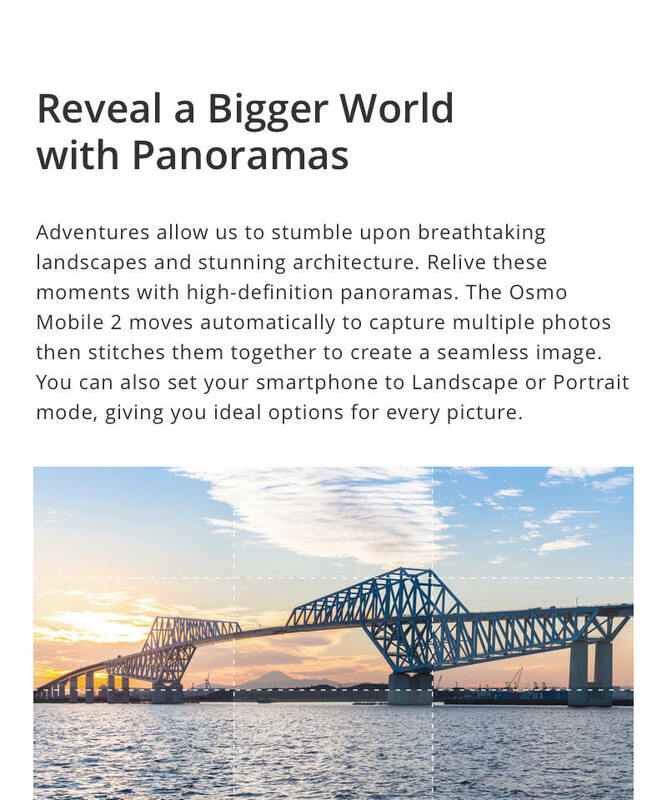 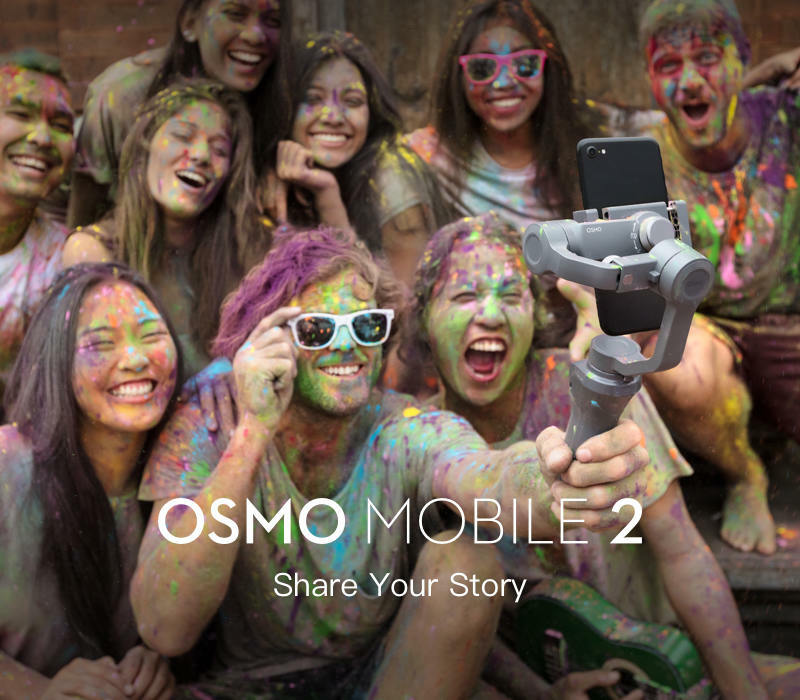 Best of all, the Mobile 2 comes in at a price point that is a fraction of the original Osmo Mobile.